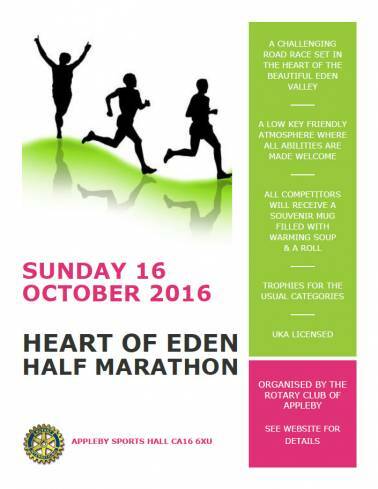 Arnison Heelis is pleased to be supporting the Heart of Eden Half Marathon; a challenging new road race set in the heart of the beautiful Eden Valley, Cumbria. The circular route takes you from the historical market town of Appleby-in-Westmorland, through the picturesque villages of Murton, Dufton and Long Marton, along the foothills of the northern Pennines with views, on a clear day, of Blencathra and the Lakeland fells. A souvenir mug filled with warming soup and a roll will await each runner at the finish. A low key, friendly atmosphere, where all abilities are made welcome. Please see Appleby Rotary website for further details.